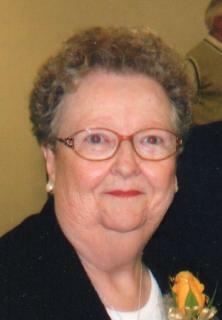 Funeral services for Judy Rafter, 79, of Greenfield, will be Wednesday, March 6th, at 10:30 am at the United Methodist Church on Greenfield. Burial will be in the Fontanelle Cemetery. A luncheon will be held at the church following the services. Visitation will be Tuesday from 2 pm to 7 pm at the Steen Funeral Home in Greenfield. Family will be present from 5 pm to 7 pm. Memorials may be made to the Judy Rafter Memorial Fund to be established by the family at a later date. Online condolences may be left at steenfunerals.com. Survivors include: Husband, Randall. Children, Kevin Rafter of Stuart and Ranee Raftrer of Greenfield. 5 grandchildren.